Najla Turk is the Director and Founder of ConnEQt. Najla’s guiding principle is to be responsive to people from all walks of life and to make a difference where it matters most. Najla’s strength lies in her ability to address diversity issues loaded with fun and lightheartedness. Generally leaders, managers and individuals fear uncertainty. Feeling inadequately prepared can result in an experience that reinforces discomfort, unease and tension. What constitutes acceptable speech? The prospect that challenging behaviours may arise from sincere questions and concerns can be discerning. 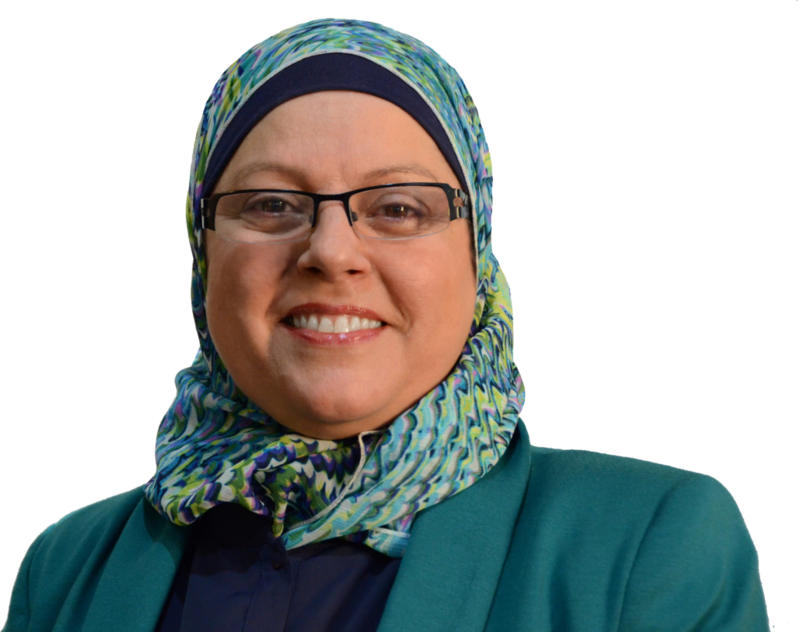 Najla provides a diverse voice to improve outcomes for everyone. Najla has a balanced perspective of diversity as is able to bridge the gap between people at all levels, abilities, race and skills to help create an inclusive culture built on respect and differences of opinions, thought and behaviour. Not only does she have an in-depth understanding of cultural competence, management and diversity Najla has a unique ability to break down or nudge many types of barriers; language, intergenerational, cognitive, cultural plus more. For decades Najla has managed to engage individuals from over 150 countries and languages and openly discuss issues that inhibit proformance, productivity, participation and profitability. Equipped with a sense of humour and diversity tools Najla is a unique brand reflecting integrity, credibility, passion and skill. Seeing is believing. Najla is far from dull and boring in person. She has the ability to untangle complex situations by providing an open forum for discussion, facilitation and achieve the PEACE of mind like no other. What’s your biggest problem? Conflict – bad behaviour – misunderstanding – low morale – poor performance or you simply don’t know? Don’t risk psychological distress! Don’t restrict progress! Call on Najla and have the open and honest dialogue. Attuned to individual needs Najla can successfully facilitate the development of individual capabilities; working as a bridge between many employees and managers. As a result of her strength based approach Najla is committed and passionate about valuing, respecting and embracing diversity. She has a creative style to help eliminate self-limiting beliefs, fear and procrastination and she has a natural ability to develop individual talent and skills. Najla is able to demonstrate amazing results in achieving high level performance and productivity, personal development, change management as well as focus on health and well-being. Today Najla draws from personal life experiences to educate, empower and transform people as well as manage the people resource. As a Diversity and Inclusion consultant, facilitator and speaker Najla’s extraordinary talent is reflected in her extraordinary results.